THE B-MOVIE NEWS VAULT: STOCK YOUR VAULT: New DVDs & Blu-rays for 03/26/2019! STOCK YOUR VAULT: New DVDs & Blu-rays for 03/26/2019! March 2019 is coming to a close Vault Dwellers, but it is leaving us a diverse mix of awesome new titles on DVD, Blu-ray, and 4K UHD! I really hope you've still got some money left from your tax returns (as dismal as they may have been this year) because you're going to need it! Director James Wan's epic AQUAMAN is now available in all formats, Kino Lorber's Special Edition of FOR A FEW DOLLARS MORE is out on DVD & Blu-ray disc, and Mary Lambert's classic adaptation of Stephen King's PET SEMATARY makes the leap to 4K Ultra HD disc! Mill Creek continues their series of Retro VHS-style Blu-ray titles with SHEENA and SONGWRITER, NetFlix's THE VAULT (starring James Franco) makes it's debut on physical media, Arrow Video drops their BLOOD HUNGER: THE FILMS OF JOSE LARRAZ Blu-ray boxed set, and Troma brings VICTOR GOODVIEW to Blu-ray disc! The champs this week though have to be Scream Factory and Shout Select! Scream delivers new Blus of THE BODY SNATCHER (featuring Boris Karloff!) and WARNING SIGN, while their sister label Shout Select delivers a fantastic set of Toei's THE STREET FIGHTER COLLECTION! This set contains all three films, totally uncut and remastered in 2K! 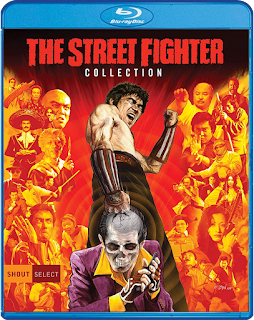 Featuring one of cinema's coolest anti-heroes, bone-crushing violence, and funkadelic soundtrack, the STREET FIGHTER films are not to be missed! The rest of the this week's roster is made up of numerous anime titles and series (e.g. PERFECT BLUE) and also contains a few Region B titles (e.g. 88 Films' CANNIBAL TERROR and THE RAGE: CARRIE 2), not to mention a new KINGDOM OF THE SPIDERS Blu from Code Red DVD and the NEMESIS: SEQUEL TRILOGY from MVD Rewind Collection! 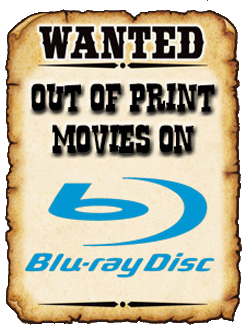 To see the full list of new DVDs & Blu-rays, continue scrolling Vault Dwellers! Contains: Whirlpool, Vampyres, and The Coming of Sin. Contains: Nemesis 2: Nebula, Nemesis 3: Time Lapse, and Nemesis 4: Cry of Angels. Contains: The Street Fighter, Return of the Street Fighter, and Streetfighter's Last Revenge.